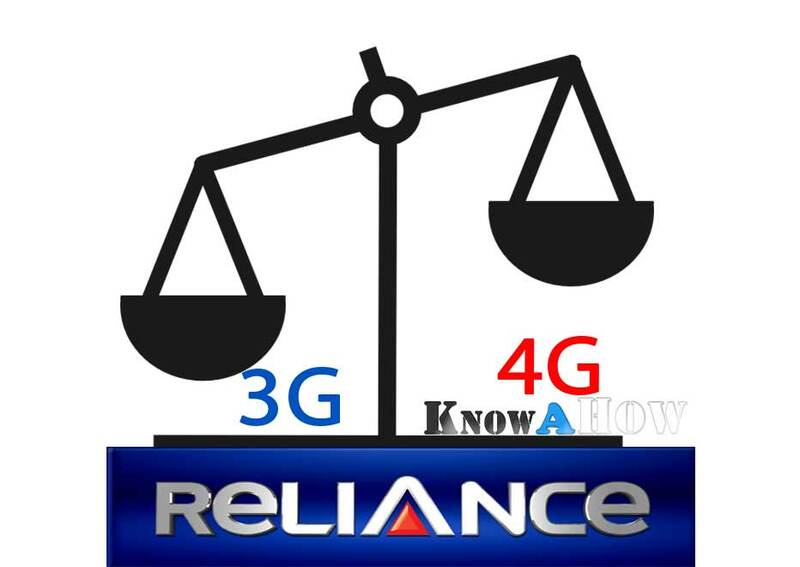 If you have Reliance jio prepaid or postpaid mobile SIM card / netconnect connection and want to know / check balance usage, validity for 3G / 2G / GPRS / 4G LTE internet data plans, you are at right place. It is always very vital to know the remaining 3G / 2G Edge net data and validity to avoid balance deduction from main account. To check the balance Reliance Jio SIM, you need to dial the below USSD codes or send the SMS. Reliance Telecom offers some great plans for Internet, mainly there are night pack, Combo (offers some free Internet Data usage + talktime) and Net only. Reliance JIO has also announced that they will be launching 4G LTE services for its employees. (Update) You can only access Reliance Jio 4G LTE with LYF Smartphones which comes with unlimited 4G Data for 3 months. In order to check the Internet Balance, you need to perform the below steps on Reliance Netconnect, Modem / USB dongle. The codes will work on all phones, no matter whether you have Android, Apple iPhone, Nokia Symbian, Windows Phone, Tizen, Firefox or Blackberry. Dial code : *111*1*3# and Send. To check Reliance GSM data balance in GSM mobile phones, simply dial *111*1*3# or *111# and follow the Popup instructions. Write a new SMS “MBAL” and send it to 55333, you will receive a new message from the company with your remaining validity and Reliance internet data plan usage. Initially there was the way to check balance online, but currently that link is not not working anymore. So kindly use the above methods only.